The Daily Gem Bonus: New items and a cool story! Hiya! 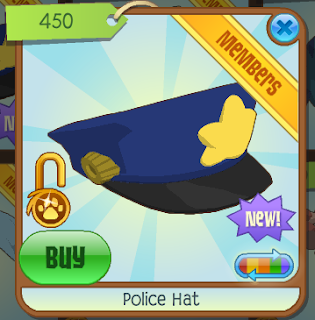 There's a new Underwater Police Hat! And also, I made a story about my pets! Cat: Ever wish you could go on the moon? Hamster: Yeah. But there's only one problem. Cat (not listening to hamster): I just wanna touch a star, don't you? Cat: Our chances are hopeless though.... Or are they? Hamster: Are you even listening to what I'm saying? Cat: No, dear, I'm not. Cat: AND I'M NOT GOING TO! Cat: Not only our chances are hopeless, but YOU are hopeless. Hamster: You just lick your paws and say MEOW! Cat: Nuh uh uh Hopeless hamster! 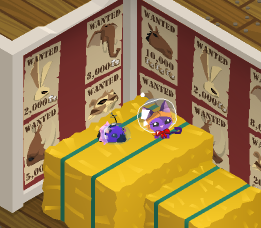 Cat: Let's go to the moon! Hamster: The problem - we don't even have a ship. Cat: Well let's make one! Ten minutes later, a cardboard rocket is sitting in front of the hamster. Hamster: You call this a ship? Cat: You bet I do!